It's a gathering for the world's business and political leaders. 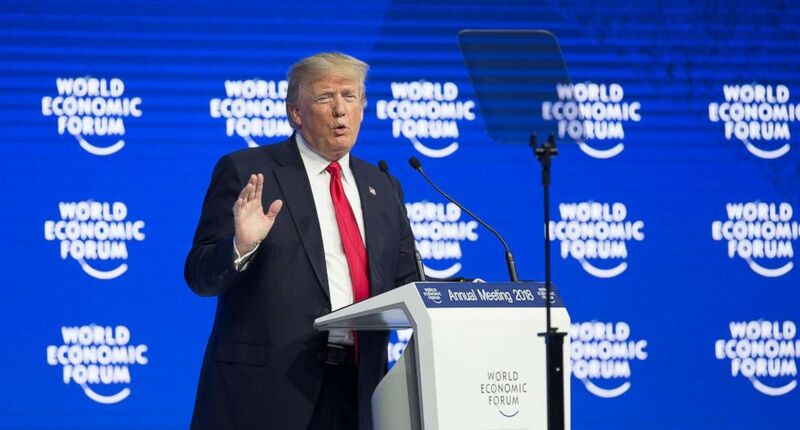 (Xinhua via Getty Images, FILE) President Donald Trump delivers a speech during the 48th annual meeting of the World Economic Forum in Davos, Switzerland, Jan. 26, 2018. 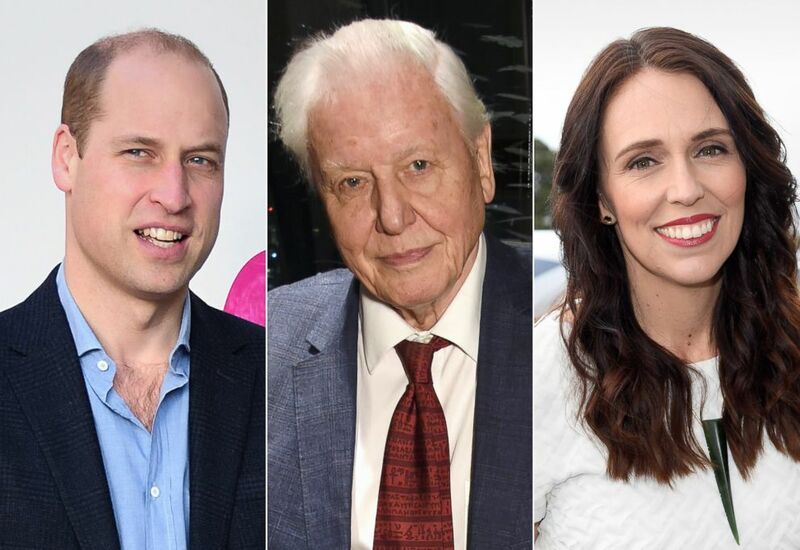 (Getty Images) From left, Prince William, Duke of Cambridge, Sir David Attenborough, and New Zealand Prime Minister Jacinda Arden are planning to attend the 2019 World Economic Forum in Davos, Switzerland. Also attending is Brazil's new president, Jair Bolsonaro. Around 60 percent of Davos attendees will be representatives of the World Economic Forum’s major donors – known as “industry affiliates” – according to Professor Adrienne Sörbom, author of "Discreet Power: How the World Economic Forum Shapes Market Agendas." You can see the full list of industry affiliates here. The World Economic Forum is an exclusive affair and tickets often cost thousands of dollars. It's also been accused of “serving the elite,” according to Behravesh. "They’ve tried to move away from that, but not terribly successfully one has to say,” he added. 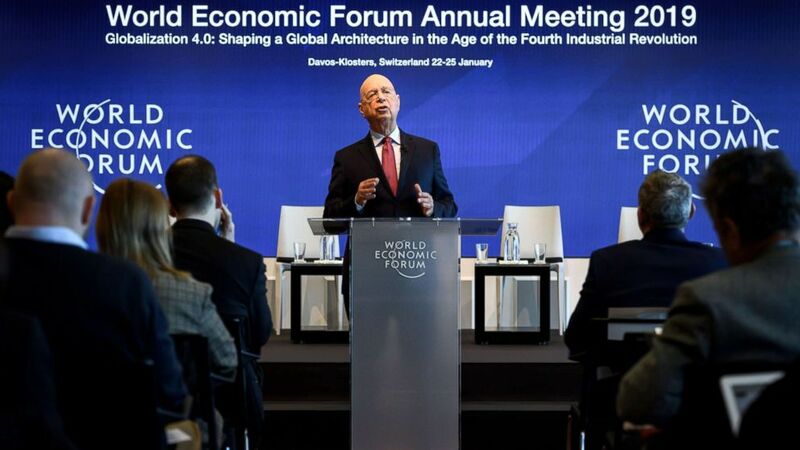 (Fabrice Coffrini/AFP/Getty Images) Founder and Executive Chairman of the World Economic Forum Klaus Schwab attends a press conference ahead of the 2019 edition of the annual meeting, Jan. 15, 2019 in Geneva. “They’re not going to be able to reign in Donald Trump’s protectionist tendencies – that’s just not going to happen,” Behravesh said. “But they could provide a forum of discussion on the benefits of globalization."